Are you looking for a notebook that doesn't fit in with the crowd, the status quo, the norm, the .. you get the picture .. Then choose our elastic closure notebooks! The closure alone makes it unique, but with the ability to customize you'll be sure to be that one person that stands out from the rest! (In a good way, not a Kim Kardashian/Kanye West/North West kind of way). 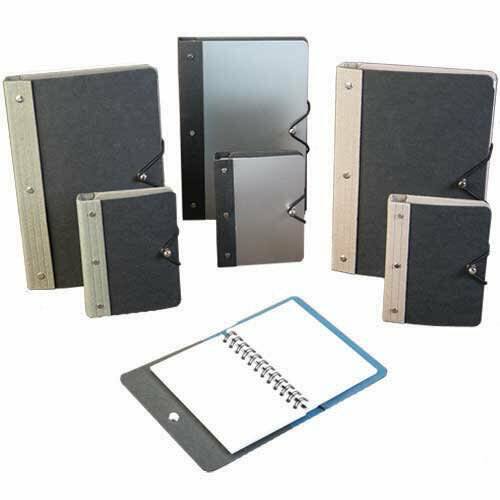 Easy to open but still secure enough to keep all of those papers tidy, these notebooks will leave all of your unorganized competitors envious. Have some diary loving friends? Definitely share these notebooks with them! The JAM paper member writing this description has had nine diaries in her life and they always look the same. Have a friend like that? Give them this notebook for a Christmas present! They’ll definitely love it and be able to pick it out from the other ten she had growing up through the years. Don’t know anyone who is like that (we are a rare breed). Then use these notebooks anyway you like! They ARE customizable to fit your idea of what a perfect notebook is, so choose what size and color you want to match you and your personality!